Do you need to get away from it all? 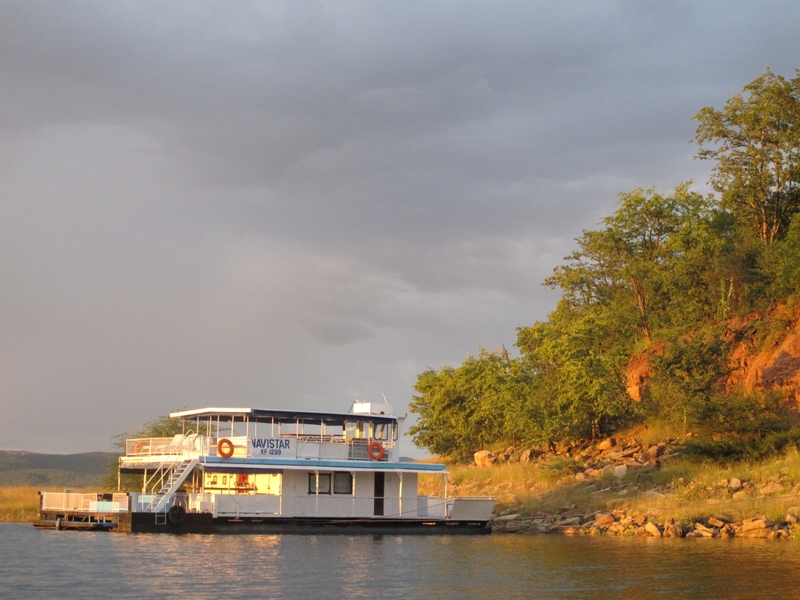 Then come and relax aboard one of the many houseboats that Kariba has to offer. With only the sounds of nature you will completely forget about the outside world – a unique African getaway. Houseboating on Lake Kariba is a very popular choice and ideal way to explore the different islands and enjoy the wildlife and prolific bird activity. Houseboats vary greatly in size and comfort depending on your personal choice, but we are sure you will find what you are looking for, whether it is a pontoon or mono hull type boat. Utopia" is a well maintained mono-hull vessel that the vessel has a reliable and comfortable physical structure and interior. Utopia has four cabins situated below deck,. Lady May is an impressive, roomy Mono hull cruiser which was designed for the class conscious client in mind. It has high end fittings throughout and is very comfortable.